In fact, Kelly all but called Martin a thug in her introduction to Tuesday's discussion (5/28/13) about the "setback:" “A Florida judge rejecting a motion to delay the trial and blocking Mr. Zimmerman’s defense team from using ANY evidence about Trayvon Martin’s past, including prior use of marijuana, school suspensions or alleged fights.” As she spoke, a photo of an innocent-looking Zimmerman, with facial scratches, appeared on one side of the screen, as a grimacing, vaguely menacing photo of Martin appeared on the other. Kelly feigned objectivity by asking, “How is this relevant?” but it was really just an opportunity for O’Mara to answer that Martin was high the night he got shot by Zimmerman and was a “chronic user” of pot. But as Kelly surely knows, the issue is not whether Martin was high or loved guns but whether Zimmerman acted in self defense when he shot and killed the unarmed Martin. I’m going to post that interview with O’Mara underneath the video of this segment and you can judge for yourself just how skeptical or pro-Zimmerman Kelly really was. I think O’Mara knew going into today’s hearings that most of these rulings would go in favor of the state. He may have lost in the court of law today, Megyn, but he won in the court of public opinion. Because all of this information now about Trayvon has now been disseminated by the media to the public. Jurors who would never hear about Trayvon’s extracurricular activities so to speak in court have now heard about them through the media. And that’s what he wanted to do. She forgot to mention that Kelly played a starring role toward that objective. And it speaks volumes about Kelly's understanding of the situation that she never disputed Jenkins' assessment. It’s too bad she never said any of that when it might have counted more. Update: on Friday (5/31/13), Kelly also interviewed the attorney for Trayvon Martin's family in what I would characterize as a decent and fair interview. Truth is, if either one of them could have a do-over both would choose to stay home that night. No — the “thruth” is, if ZIMMERMAN had kept HIS hands to himself (i.e., off of his gun), Trayvon Martin would be alive today . . .
Kevin: You’re welcome. Though I fully expect the same stuff to resurface under another moniker. I do have serious doubts regarding Fred’s claim that he “grounded” his kid when he was on drugs. As I recall, it was next to impossible to ground a boy fifty years ago when I lived in rural Florida. If anything’s changed nowadays, it’s the fact that it’s become next to impossible to ground girls as well. Of course, there’s the undisputed fact that he was wearing a hoodie. However, the crowd shots of the Boston Marathon bombing event suggest that about a third to half of white Americans in casual dress probably wear those. They’re so comfortable they’d be stupid not to. For me – and however much I turn this story around, inside and out it boils down to Martin being black, young and skinny and Zimmerman being white, old and burly. While the former was walking home as he nibbled, the latter was following him with hostile intent. I’m looking increasingly forward to the trial, trusting in the fact that Zimmerman won’t have the financial resources that allowed OJ Simpson to get off. I still think OJ was guilty but the jury said otherwise. T’would be silly to belabor the point. Here’s wishing all the gang a lovely weekend. Bemused, thank you thank you for asking Harry to stop with the constant repetitions of the swamping material. Fred, that’s an interesting perspective. Not everyone disciplines their kids in the same way. We’ve already discussed in another thread that Trayvon Martin wasn’t thinking that clearly at the moment he was being stalked by Zimmerman. He was scared and his girlfriend was repeatedly calling him on his cell phone and telling him to run. You could argue for days about why he didn’t call the police himself, but it doesn’t sound like he had the presence of mind to do that. You’re also assuming that Martin initiated the fight with Zimmerman, when the witness accounts indicate it was the other way around. Are you saying that it would have been okay if Martin was attacked and then just stood there getting punched out by Zimmerman? The indications are that Zimmerman picked a fight and then clearly started losing it – at which point he pulled the gun and shot Martin to death. Megyn Kelly, Nancy Grace wanna be. Now why anyone would want to emulate Grace is beyond me, but that’s my 2 cents. @ez: Actually, I think SYG would have been more applicable to Trayvon Martin since it was he who was being followed. If he’d had a gun and shot Zimmerman … but using one’s fists doesn’t count it seems. @harry: You keep on referring (obsessively) to the distance from Martin’s house as proof of something. If you cared for your family, wouldn’t you have wanted to protect them by not revealing where they lived to a stalker? Stalkers are scary and all too often “off their rocker” (aka truly mentally ill) for some reason or the other: hatred, jealousy, envy, infatuation, etc. The 911 call proves that it was Zimmerman who was following Martin, doing so in the dark through a park within a gated community. I’d have been scared too and I certainly would not have had the gumption to confront a man so visibly bigger than myself (thickness if not height) That kid must have felt that running would get him a bullet in the back so he decided to confront Zimmerman. The kid is D-E-A-D so the only source is Zimmerman and he’s at risk of spending the rest of his life in jail. That makes me suspect his version might be somehow tainted by an (understandable) instinct for self-preservation. What I don’t understand is the note of total desperation in the posts by you and Russell. PS: Please refrain from reposting the same stuff you posted on the last thread. It’s tiresome as well as futile because nobody will read it after realising it’s the same old same old. Gee, that broken nose heals quick. And did some of the gashes on his head move? Oh, and lookey how fast those vanished! BTW, care to discuss Zimmerman’s perjuries that I linked you to yet? Or is the conflicting story from Martin’s Girlfriend still the only one that counts to you? The FBI interviewed many people about Zimmerman. Not one said he was a racist. I actually had to follow this case 24/7 for work when it was actually news to people outside of Fox News’ more racist hosts and apologists like you two. I’m willing to bet dollars to donuts that all you two have are far-right blogs, and maybe the few cnn.com articles that have links to retractions in the link. Not that you’ll read them, because it’s CNN, and both Ailes and Rush told you not to acknowledge them past when the headline agrees with the far right. God, I get a lot of wing nuts who pull that. They’re really bad doing that with CBS, too. Looking at the Miami Herald article, I don’t know that it says that the State was withholding. It says that a former member of the DA’s office is grinding an axe. We’ll know more when the office employee who apparently is at the heart of it testifies next week. I wouldn’t jump to conclusions before then, much as the Zimmerman defense lawyers are attempting to suggest. It appears that the Zimmerman defense has failed in its attempt to smear Martin in court, based on the judge’s ruling Tuesday. It also appears that their attempt to stall and push back the court date has also failed. It’s becoming clearer why they were doing this – they’re running out of money. They have apparently blown through over 300 thousand dollars and they are now demanding that people donate anywhere from 75 thousand to 125 thousand to help them with their case. That by itself is fairly outrageous behavior on their part. 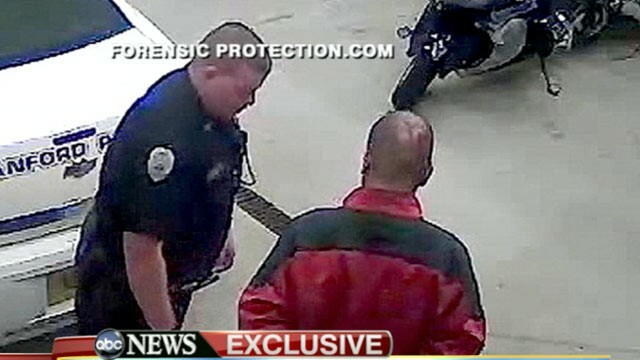 I don’t believe this will be a situation where Zimmerman gets “railroaded”. This will be a trial in which Zimmerman’s contradictory and conflicting statements will be examined in the light of the testimony of the various witnesses. 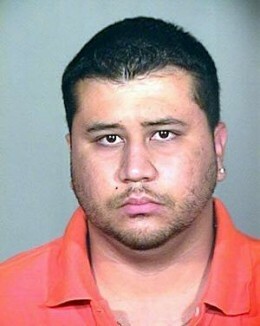 Zimmerman will be compelled under oath to tell everyone what really happened. This won’t be a Murder One trial, but it could easily be 2nd Degree or Manslaughter. I wouldn’t expect to see riots in any potential outcome of this case. But if Zimmerman is indeed found guilty of murder and sentenced to years in prison, past history teaches us that the right wing media machine will go into overdrive. People who remember the Ramos and Compean case may think that was a picnic compared to the howls of moral outrage that could come out of AM radio and Fox News. And I don’t know about fairy tales about Trayvon Martin’s behavior. I’d agree that people on both sides of the matter were throwing a lot of rhetoric around in the immediate aftermath. But it’s been a lot more like a fairy tale to hear the right wing’s strange tale of how George Zimmerman innocently walked back to his car and was viciously assaulted by the teen who he really wasn’t following. Like I said, the truth will come out in the courtroom. We’re not going to do another thread that tops 150 posts on this, are we? I wouldn’t say that Zimmerman is a racist, but I would say that the evidence shows he acted in a manner that directly led to the result we have seen. It’s not a matter of racism to me, although he certainly profiled Martin for what he was wearing. I think we’ll see a fair trial, despite the defense team’s attempt to smear Martin before the trial begins. The bigger question will be how the right wing handles the verdict here. Will they accept it or will they paint this as another Ramos and Compean? If a black armed adult vigilante stalked and shot to death a white unarmed teenager, the only issue for Megyn KKKelly would be whether he is lynched before or after the trial. After helping to promote Zimmerman's smear campaign against Trayvon Martin, Kelly now calls it "trying the victim."